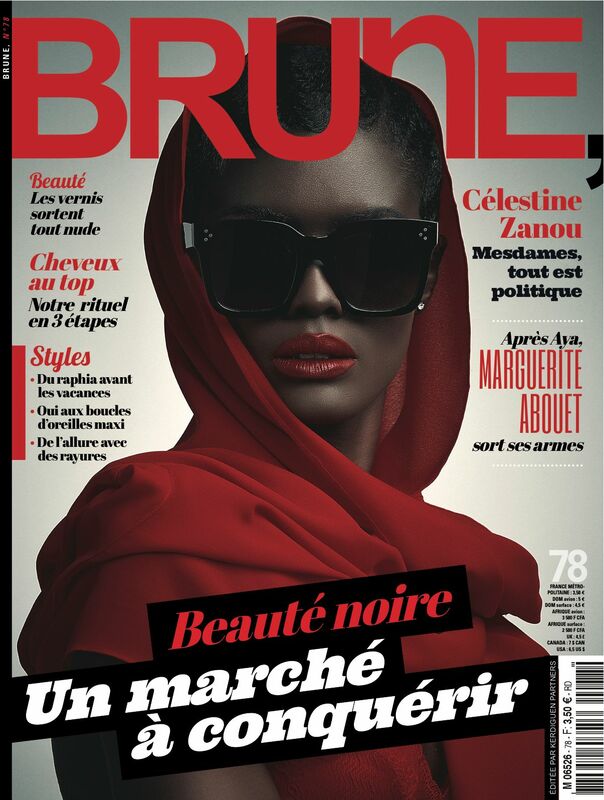 Top model, Jencey Foje snagged a starring role in Brune Magazine’s 78th issue. The dark skin beauty blazes in the spread photographed by Alain Ngann, wearing the look of a sophisticated Southern belle with perfectly lined red lips, an elegant red headscarf and a sparking dark skin only her can afford. 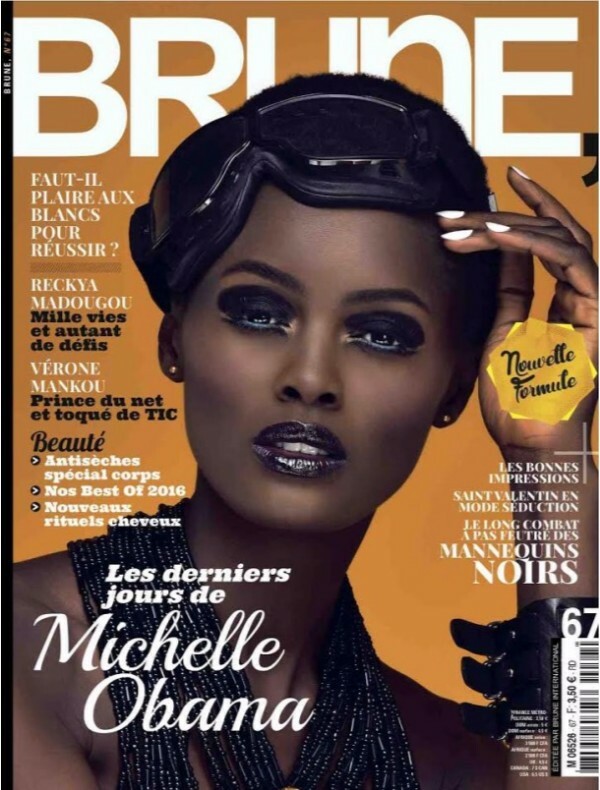 This is Foje‘s second major cover for Brune Magazine, launched back in 1991 and says she’s completely honored to be their covergirl… again! “I feel great. I haven’t seen the magazine yet,” she tells us. “Yeah, it [latest issue] just came out in France two days ago. My copy was given to my friend. I haven’t had access to it. Still I’m glad,” she adds. Foje is a hard worker beloved by many. She struts the runway like no other and has legs for days. 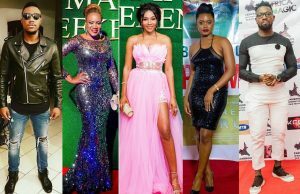 She however remains humble and loves giving back through her philanthropic works. 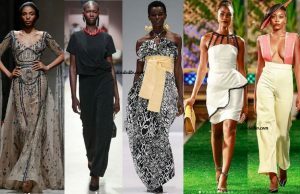 “I am in Matondo, Kumba giving a workshop, When I get back I’ll have it,” she revealed to us. 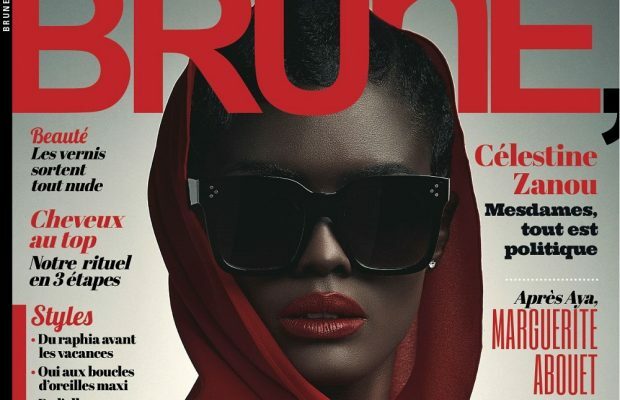 It’s been a couple of years since the black beauty runway queen covered the French mag’s 67th issue, but it seems this time we’re getting a whole new look at the super model. Her elegant look is way more muted than how she’s usually styled, but she sparkles regardless! Just a peek of her spread inside the magazine is just as amazing. The model channels a Jackie Kennedy look, wrapped head and huge dark shades designed to be an attention-grabber. But nothing is more catchy on this cover than her Fenty Beauty stunna lip paint. Her makeup is done by Bee Makina.